The U.S. Department of Health and Human Services’ (HHS) Health Resources and Services Administration (HRSA) has awarded $21 million to 46 community health centers, with the aim of supporting their participation in the NIH’s All of Us Research Program. The HRSA funding is designed to support efforts by the community health centers to enroll and retain participant partners in All of Us. The funding is also intended to advance health centers’ interoperability functionality, their preparedness to use and share patient data, and their capacity to participate in future research opportunities. Each of the 46 community health care centers will receive $456,000 from HRSA, which has published a list of the winners. “Community health centers provide high-quality preventive and primary health care. They can help engage participants from underserved communities, which will be vital to All of Us in producing meaningful health outcomes,” HRSA Administrator George Sigounas, Ph.D., said yesterday in a statement. That effort would help fulfill All of Us’ stated commitment to becoming the nation’s largest and most diverse research cohort, with plans to “oversample” communities underrepresented in research in the past. The funding is one of two NIH announcements this week about All of Us. On Monday, the NIH said Kelly Gebo, M.D., M.P.H., has joined the program as its new Chief Medical and Scientific Officer. She is co-principal investigator of the HIV Research Network, an 18-year clinical cohort study of high-volume HIV sites caring for over 20,000 persons with HIV nationwide, and a professor of medicine at Johns Hopkins University. Dr. Gebo will work with health care professionals and researchers, participants, and national and community-based organizations to lead the program’s scientific agenda, with a focus on populations underrepresented in research. She will also work with participants, NIH leadership, and partners to guide protocol revisions and data collection processes—as well as work the institutional review board (IRB) and the All of Us team to provide clinical oversight, the NIH said. Last month, All of Us launched the first phase of its All of Us Research Hub, which includes an overview of the program’s data and tools. The first version of the All of Us Research Program dataset, and first set of researcher tools, is expected in 2019. All of Us opened for national enrollment on May 6. People ages 18 and older are eligible to enroll, regardless of health status. Those who enroll join more than 25,000 participants who signed up for All of Us during a beta phase. 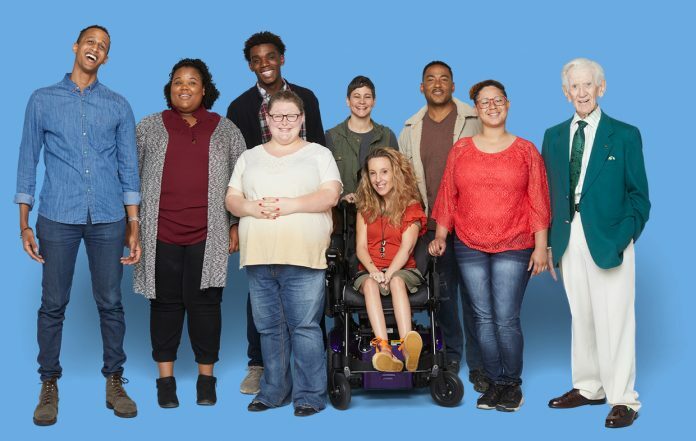 “The success of the program will rely on a diverse population of participants, and the collaboration with HRSA will help accomplish the All of Us mission to enable individualized prevention, treatment and care for all populations,” stated NIH Director Francis S. Collins, M.D., Ph.D.
All of Us is one of 10 initiatives launched by nations toward gathering, storing, and applying genomic data from at least 100,000 genomes—a virtual “100K Genome Club” of national initiatives spotlighted recently by Clinical OMICs.